[Free Pattern] The Most Relaxing Stylish Crochet Blanket You’ll Ever Make! What a beautiful block! 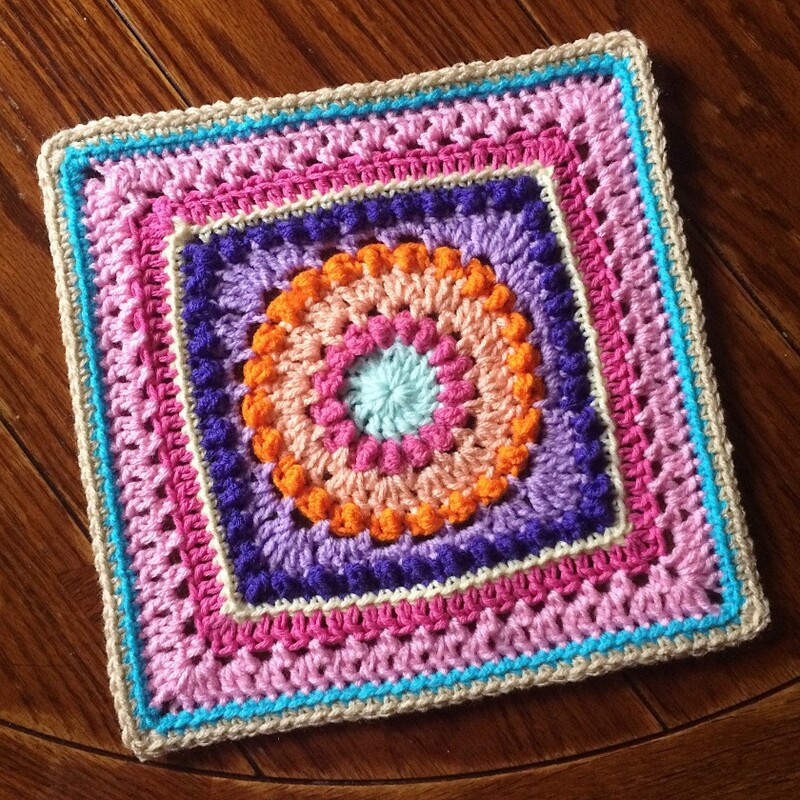 If you remember Circle of Friends, the wonderful free pattern written by Priscilla Hewitt, this pattern, you’ll be pleasant surprised to find that this textured circles blanket pattern is a pattern to expand this square by 5 rounds to 11″. The result is enchanting! The 5-Round Expansion for Circle of Friends Square by BabyLove Brand is a superb and versatile pattern suited for any weight yarn the crocheter may choose to use. This pattern is also an excellent and enjoyable way to use up scraps! Thanks to BabyLove Brand for the article inspiration and featured image. Very pretty blend of colors. Like this style very much. Great job.